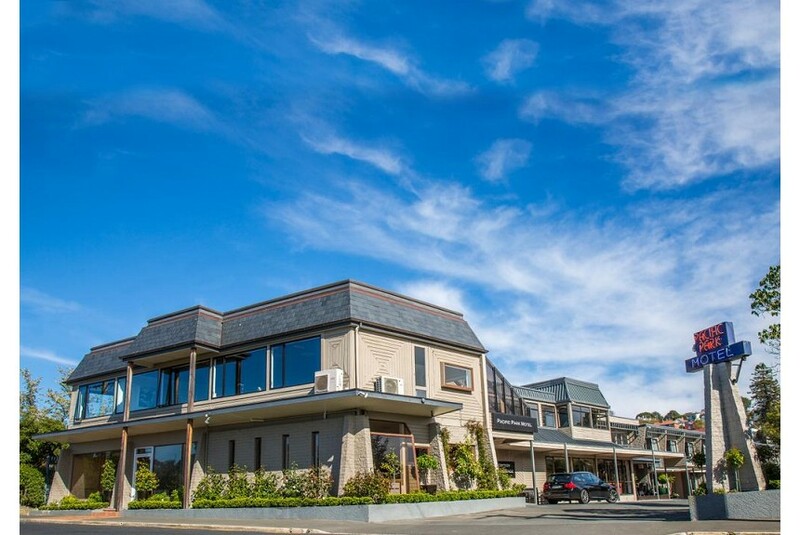 Located in the heart of Maori Hill, Pacific Park Motel and Conference Centre offers stylish accommodation, just a 7-minute walk from Mercy Hospital, Moana Pool, Columba College and St Hildas. The motel is a 7-minute walk from Olveston and Otago Boys boarding school. It is a 18-minute walk from John McGlashan boarding school. Free car parking is provided. Each room at Pacific Park Dunedin features a flat-screen TV and central heating. There is also a microwave, refrigerator, tea/coffee making facilities and an en suite with a shower and a bathtub in every room. Guests have access to laundry facilities and a dry cleaning service. Rooms are serviced daily and pool towels are available for Moana Pool. Surrounded by native trees and gardens, Pacific Park Motel and Conference Centre is a 5-minute drive from Cadbury World. It is 10 minutes’ drive to Taieri Gorge Railway and 30 minutes’ drive to Larnach Castle.